This article is about the video game franchise. For the original game, see StarCraft (video game). For other uses, see Starcraft (disambiguation). StarCraft begins days after the first of these attacks, where the predominant Terran government, the Confederacy of Man, falls into a state of panic as it comes under attack by both the Zerg and the Protoss, in addition to increasing rebel activity led by Arcturus Mengsk against its rule. The Confederacy eventually succumbs to Mengsk's rebels when they use Confederate technology to lure the Zerg into attacking the Confederate capital, Tarsonis. In the consequent power vacuum, Mengsk crowns himself emperor of a new Terran Dominion. During the assault on Tarsonis, Mengsk allows the Zerg to capture and infest his psychic second-in-command, Sarah Kerrigan. This betrayal prompts Mengsk's other commander, Jim Raynor, to desert him with a small army. Having retreated with Kerrigan to their primary hive clusters, the Zerg are assaulted by Protoss forces commanded by Tassadar and the dark templar Zeratul. Through assassinating a Zerg cerebrate, Zeratul inadvertently allows the Overmind to learn the location of the Protoss home-world, Aiur. The Overmind quickly launches an invasion to assimilate the Protoss and gain genetic perfection. Pursued by his own people as a heretic for siding with the dark templar Zeratul, Tassadar returns to Aiur and with the assistance of Raynor and the templar Fenix, Tassadar launches an attack on the Overmind and ultimately sacrifices himself to kill the creature. In Legacy of the Void, Zeratul invades a Terran installation under control of Amon in order to pinpoint the exact location of his resurrection, taking advantage of a sudden attack by Kerrigan and the Zerg swarm. After obtaining the exact location, he departs to an ancient Xel'Naga temple where he has a vision of Tassadar, who prompts him to claim the artifact in possession of the Terrans. Zeratul returns to warn Artanis of Amon's return, but he decides to proceed with his plans of leading his army to reclaim Aiur. However, Amon awakens on Aiur and takes control of the majority of the Protoss race through the Khala, the telepathic bond that unites all emotions for the Khalai faction of the Protoss. Only Zeratul and the Nerazim, the Dark Templar, are immune due to their lack of connection to the Khala, and the Nerazim proceed to save as many Khalai as they can by severing their nerve chords, which connect them to the Khala, with Zeratul sacrificing himself to save Artanis in the occasion. After escaping the planet with an ancient vessel, the Spear of Adun, Artanis reclaims the artifact as Zeratul suggested and gathers allies among the many Protoss tribes scattered across the galaxy in order to remake his army and launch another assault on Aiur. Using the artifact, Artanis' forces restrain Amon's essence, time enough for the other Khalai Protoss who were still under his control to sever their nerve chords and banish Amon to the Void. After Amon's banishment, a new faction was alluded to. The player, nicknamed "MattSucks", became quite popular for his discovery of this new faction, which Blizzard has confirmed the existence of. The StarCraft series is supported by at least 12 novelizations and an anthology, all published by Simon & Schuster, two short stories, and two graphic novels. 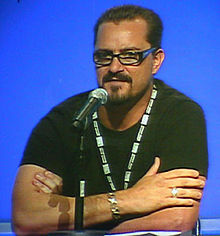 At BlizzCon 2007, Chris Metzen stated that he hoped to novelize the entirety of StarCraft and Brood War into a definitive text-based story. The first novel, StarCraft: Uprising, was written by Micky Neilson, a Blizzard Entertainment employee, and originally released only as an e-book in December 2000. The novel follows the origins of the character Sarah Kerrigan. The second novel, entitled StarCraft: Liberty's Crusade, serves as an adaptation of the first campaign of StarCraft, following on a journalist following a number of the key Terran characters in the series. Written by Jeff Grubb and published in March 2001, it was the first StarCraft novel to be released in paperback. StarCraft: Shadow of the Xel'Naga, published in July 2001 is the third novel, written by Kevin Anderson under the pseudonym Gabriel Mesta. It serves as a link between StarCraft and Brood War. The fantasy author Tracy Hickman was brought in to write the fourth novel, StarCraft: Speed of Darkness, which was published in June 2002. Speed of Darkness is written from the viewpoint of a Confederate marine during the early stages of StarCraft. The first four novels, including the e-book Uprising, were later re-released as a single anthology entitled The StarCraft Archive in November 2007. ^ Cho, Kevin (January 15, 2006). "Samsung, SK Telecom, Shinhan Sponsor South Korean Alien Killers". Bloomberg.com. Archived from the original on November 5, 2015. Retrieved August 26, 2008. ^ "2006 Walk of Game Inductees". Metreon. Archived from the original on June 13, 2008. Retrieved December 20, 2007. ^ a b "The Music of Mists: an Interview with Russell Brower". www.worldofwarcraft.com. Blizzard. June 4, 2013. Retrieved May 22, 2017. ^ "StarCraft Ghost: Nova Pocket Book Sequel". Archived from the original on December 3, 2013. Retrieved January 24, 2012. 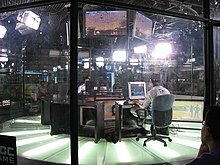 ^ "GOMTV Global Starcraft II League". GomTV. December 23, 2010. Archived from the original on December 1, 2010. Retrieved December 25, 2010. ^ Vincent, James (January 24, 2019). "DeepMind's AI agents conquer human pros at Starcraft II". The Verge. Retrieved January 27, 2019. Wikimedia Commons has media related to StarCraft.